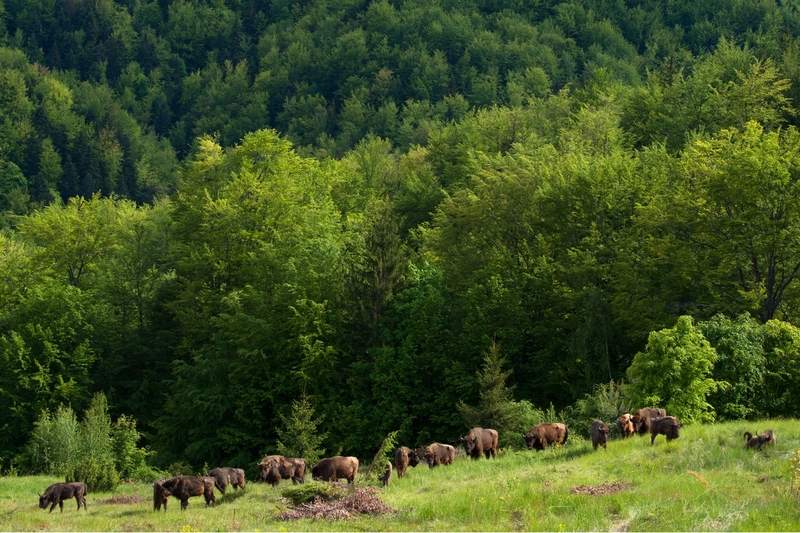 Georg Messerer of Rewilding Europe’s Southern Carpathians team is based in the small Romanian town of Armenis. 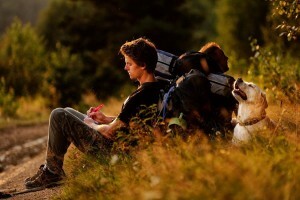 He believes wilder experiences can give everyone an appreciation of life. 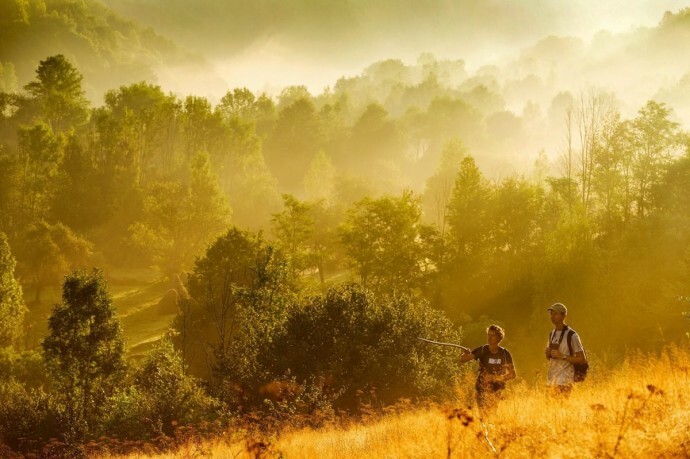 Being a Wildlife guide in the Southern Carpathians rewilding area, Georg loves sharing his knowledge, guiding skills and experiences with like-minded people in the wild. When they’re asked what makes Europe unique, most people come up with an answer that’s either cultural or aesthetic. The continent’s ethnic diversity. It’s long and complex history or its fabulous art and buildings. Or maybe even its beer, its wine, or its long love affair with football. One answer you rarely hear is Europe’s wild nature. Why is this? Probably because most people think there isn’t much of it left. But sometimes you need to look a little harder. Of course, it’s difficult to define what true wilderness really is, but times are definitely changing. Wildlife is coming back to Europe, sometimes without man’s interference, or even in the face of it. And no one knows where the end point of this recolonisation will be. In our information-filled world of Google, Youtube and Twitter, where answers are typically available at the touch of a button, this uncertainty is both thrilling and inspiring. Wilderness isn’t just a physical place like a river shoreline or a forest, it’s also a state of mind. I sometimes think of this when I’m walking through the Southern Carpathian Mountains in Romania with our two bison rangers – Danu and Matei. When we’re trying our best to track down wild bison to answer questions. What is the animals’ group structure? How healthy are they? Where on earth are they and what exactly are they doing? When I watch Danu and Matei walking along a trail, fully focused on finding bison, it makes me realise how lucky we really are. Not just because we’re out in a wild environment almost every day. But because the skills we’re using to do our job link us directly to our European ancestors. Applying such skills gives us a unique insight into what life must have been like in Europe before humans really took over. Where both fear and an active mind were essential to keep you alive. Where you could walk into a mother bear leading her cubs directly toward you. Where the crack of a branch meant adrenaline-fuelled flight or frozen movement. Where there was no sight or sound of man in the landscape, other than your own two feet and the exhalation of breath. Today, to the vast majority of us, this way of life seems both inconceivable and irrelevant. But it isn’t, and it shouldn’t be. Just as rangers have the opportunity to follow trails made by active commuters of the forest, such as bears, bison and boars, so every European should be able to experience our ancestral way of life, even for just a few hours. How does it feel to track a large animal along a path? How should I react when I see a bear, bison or wolf? How can I tell what made this print? How can I develop my outdoor skills and sharpen my senses? Being confronted with questions such as those above is a sobering and truly satisfying experience. When you track down a group of bison, approach them, and watch them without them knowing you’re even there, it takes you back to another time. It makes you feel truly alive in a way that our safe, technology-filled lives rarely do. Europe is gradually becoming wilder. The increasing opportunities to guide people into wild areas offer people such as myself a real privilege. At the moment we are doing our best to lay the foundation for providing those opportunities here in Armenis. We want to give people from all corners of the globe the chance to appreciate a wilder Europe and to support and celebrate the fact that wildlife is slowly coming back. Romania’s spectacular Southern Carpathians are a place that should be on everyone’s travel bucket list. Rewilding Europe cooperates with the European Safari Company, which offers safari experiences in Romania that include bison tracking. See here for more information.